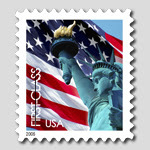 Yes, my stamps...(see the post below) I ordered my stamps the evening of February 8. How long did it take the postal service to provide service? I finally got them February 20. Unacceptable,in my judgment. Yes, there might have been snow and a holiday, but how hard is it to stick a couple of books of stamps in an envelope and send them out? I can get shoes from Zappos two days after I order them, and not even pay for shipping. From a UK Auto Industry press release: In the UK, Nissan Manufacturing UK has been sharing its lean manufacturing techniques with the local Sunderland Royal hospital in a knowledge sharing project which has so far halved the time patients spend in one of the hospital’s units from six, to three hours, by giving them specific appointment times. The number of steps used in patient treatment have been reduced from 29 to 11 after Nissan suggested unnecessary, duplicated checks could be removed. Some leaning (can't say anyone is really lean) companies in the US are doing the same. Does anyone know how it has affected healthcare coverage costs? So far, I believe it's mainly speculation that it will happen - and I agree with the idea - but I'm wondering if there's any data yet to support it. Orders are amended 3 times in 6 months. Option – orders that need to be changed will be canceled and reentered. Decision – orders that need to be changed will be amended, since no one can be bothered with considering any real data. The cost of the decision is more than $1 million, a drop in the bucket on the larger scale. But added up on the large scale of thousands of similar decisions and pretty soon, you’re talking about real money. Anyone could look at this story and quibble about the number of hours, the work that would be included in developing the order amendment feature, and the probable actual cost, but I’d bet the fact would remain. Millions of dollars are burned like this every day, just because people are sitting in their cozy team rooms in their ivory towers, not wanting to be confused by any real data.